There’s nothing better than pizza night! We’re always looking for healthier versions of our favorite foods, and with this low-carb, guilt-free Crockpot Crustless Pizza recipe — that’s exactly what you get. 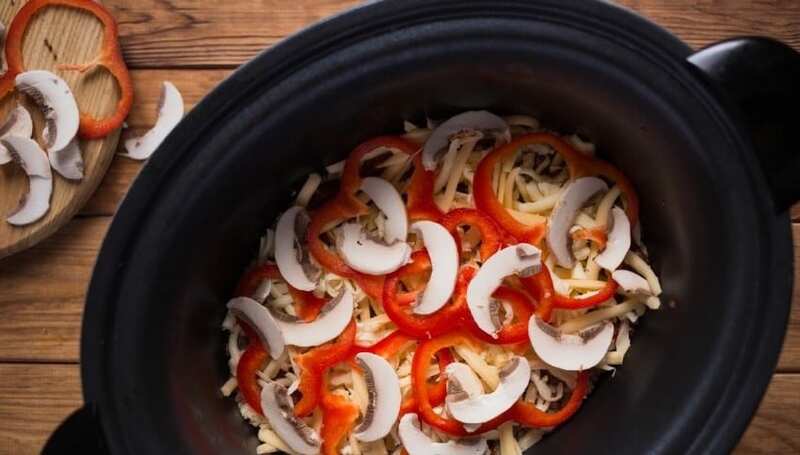 Forget frozen pizza and easily make a Crockpot Crustless Pizza for dinner this week, simply using a slow cooker and a handful of healthy ingredients. 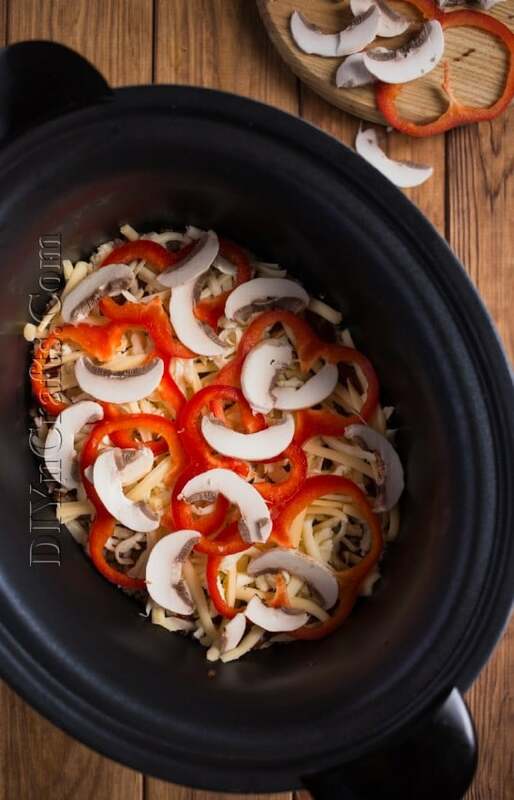 Crockpots are one of the most trusted companions in the kitchen, as you can easily add in ingredients and let them slow cook to perfection. While waiting for your meal to cook up, catch up on housework, homework, or simply kick back and relax! 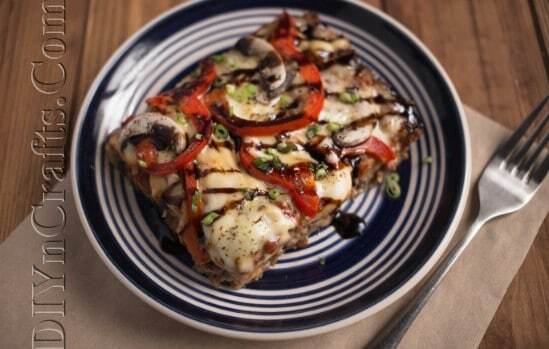 This Crockpot Crustless Pizza recipe uses breadcrumbs instead of conventional pizza crust, giving the dish a crispy and flavorful bite. 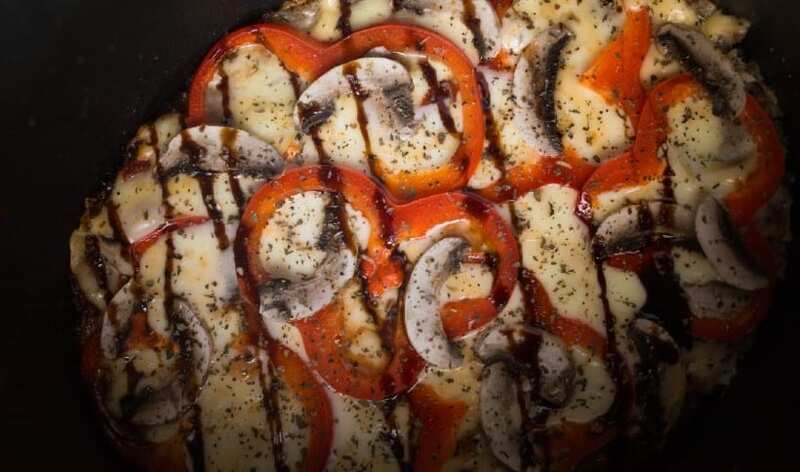 In less than 20 minutes all the ingredients can combined into one pot, and within 2- 4 hours, depending on temperature settings, your delicious Crockpot Crustless Pizza will be ready to serve. Toppings of choice: mushrooms, bell peppers, pepperoni — whatever you’d like! 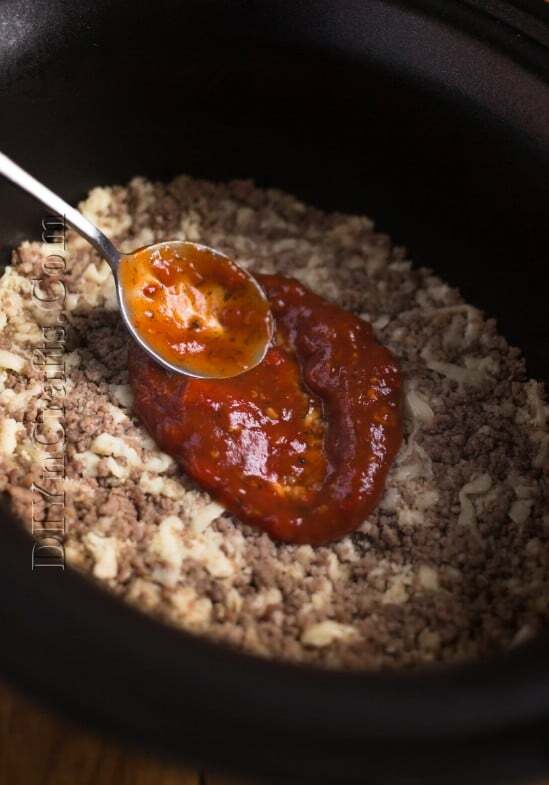 First, brown ground beef by tossing it onto a hot skillet, cooking until meat darkens and adding desired seasoning. 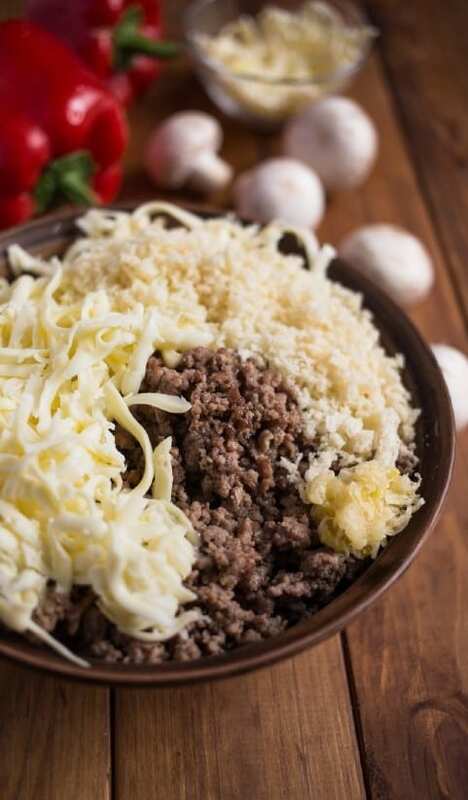 Then, mix ground beef, mozzarella cheese, garlic, and breadcrumbs together and load the mixture into a crockpot. Using a spoon, press ingredients down to form the outer edge of the “crustless” pizza. Next, add your favorite jarred or homemade pizza sauce on top. 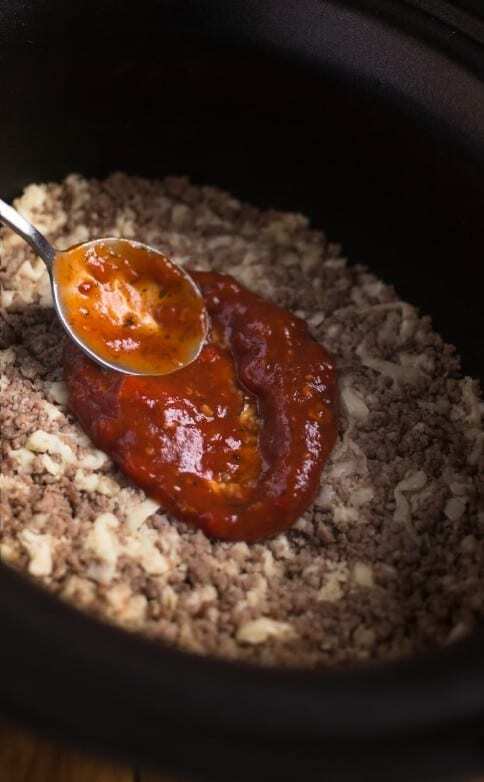 Lastly, layer your toppings of choice into the crockpot. Add mushrooms, bell peppers, olives, pepperoni, or any other toppings you enjoy on pizza! Allow the Crockpot Crustless Pizza to cook for 2 hours on High or 4 hours on Low, depending on temperature settings. Also, this recipe should yield 4-6 servings so it’s perfect for a family meal or even meal-prepping during the week. 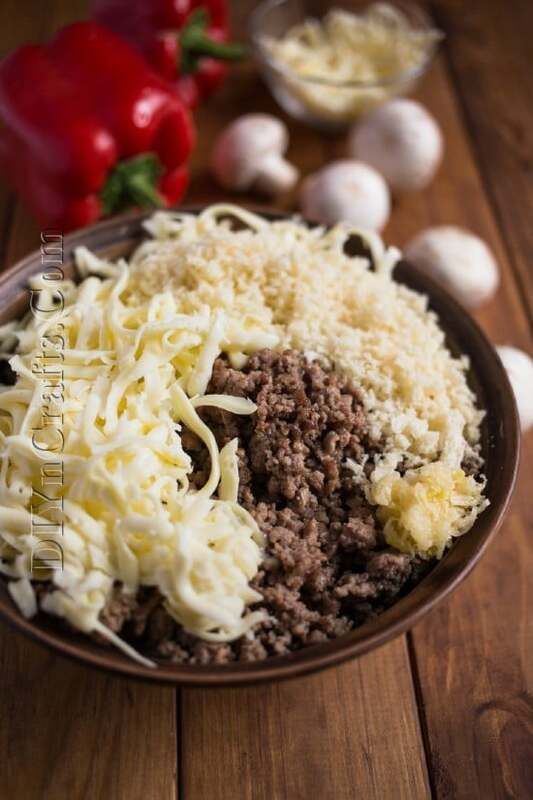 Once it’s cooked accordingly, top dish with parmesan cheese and enjoy! 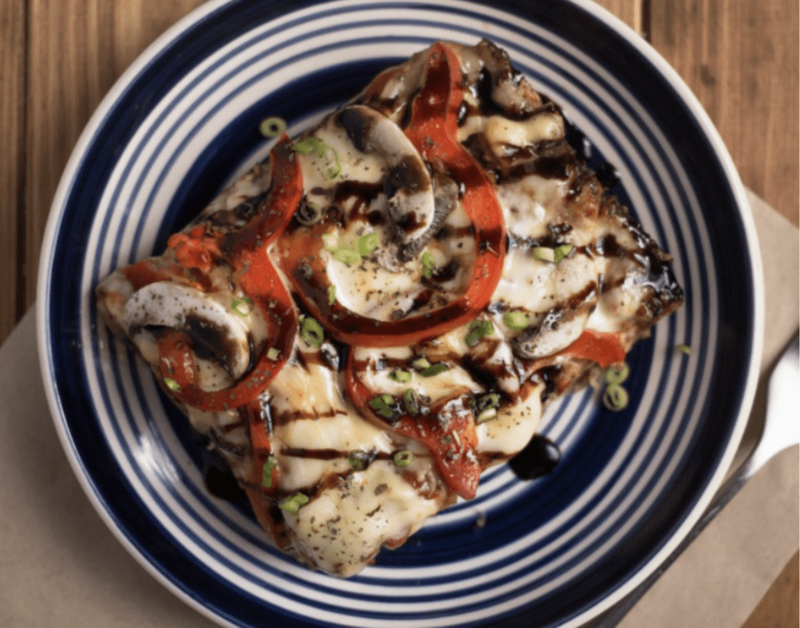 This savory recipe is one everyone in the family is sure to appreciate. Try something new in the kitchen this week, using a crockpot to decrease time spent in the kitchen and cook up a tasty, mouthwatering meal. 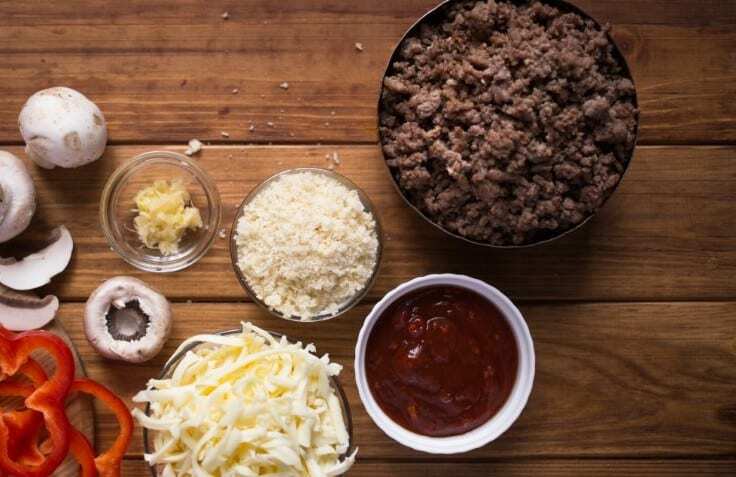 This low-carb and guilt-free Crockpot Crustless Pizza recipe reduces calories without compromising taste and enjoyment! 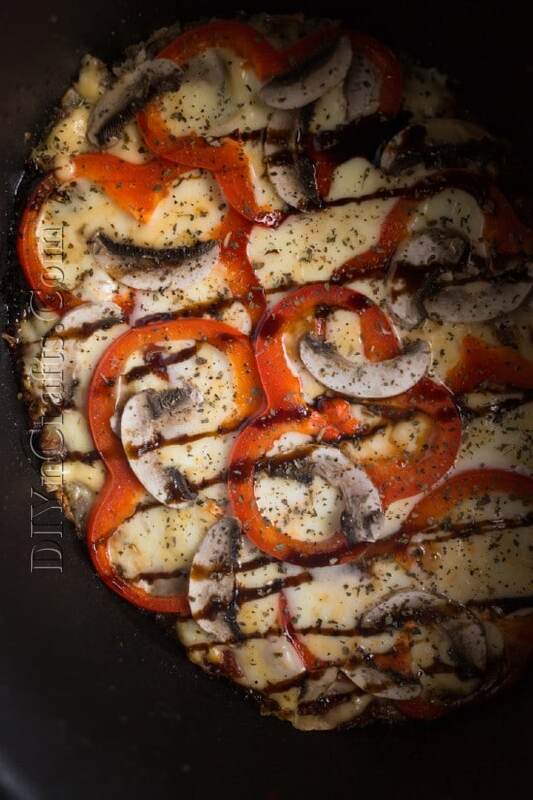 Please SHARE this healthy and delicious recipe with your friends and family.